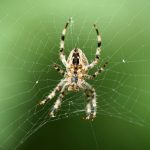 In this nature segment, KBCS’s Yuko Kodama talks with Seward Park Audubon Center Lead Naturalist, Ed Dominguez, about discuss spiders. Dominguez shares how spiders keep the insect population in check. Dominguez also explains why having spiders around is actually a good thing.